06/18/18: MIST v1.2 released. A subtle bug in the interpolation of secondary EEPs is fixed. 04/27/18: Updated Gaia DR2 passbands/zeropoints are now available. They can be accessed through UBVRIplus. 09/12/17: MIST v1.1 released. Metallicity interpolation bug in the CMD routine is fixed. Carbon-star BCs were left out in MIST v1.0 but are now included. 02/15/17: Non-rotating models released. UBVRIplus now includes Hipparcos, Tycho, and Gaia filters. JWST and LSST are also available. The current release consists of masses ranging from 0.1 to 300 solar masses and log(Age) ranging from 5 to 10.3. 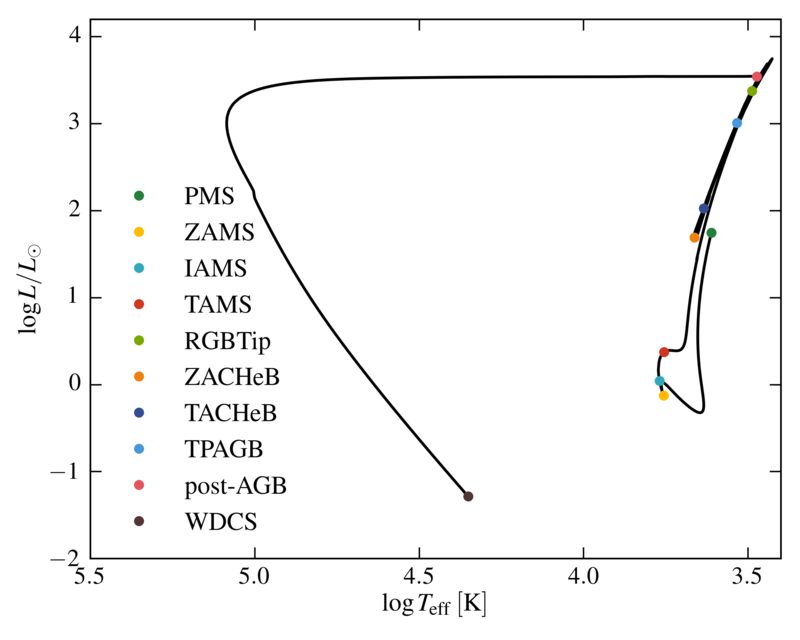 We're currently working on extending the models down to the brown dwarf regime. 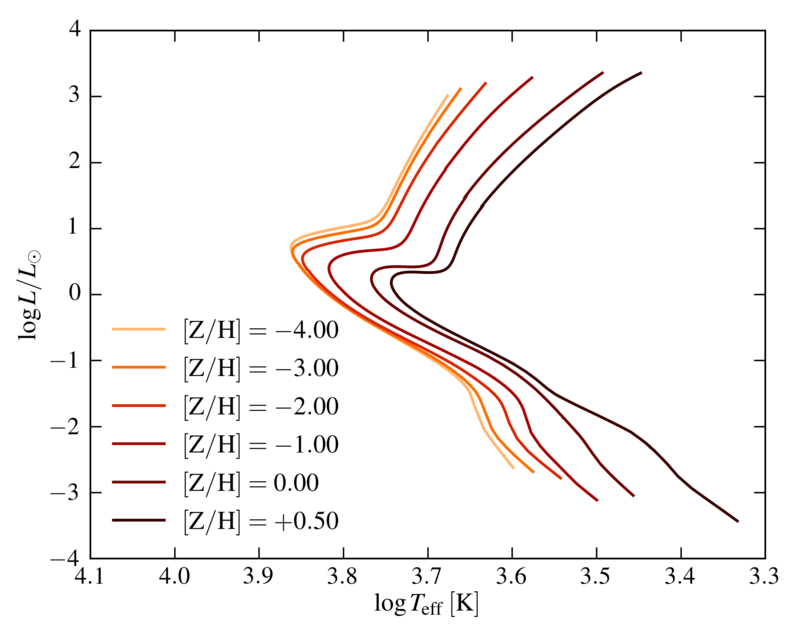 Stars are evolved continuously to central hydrogen depletion, white dwarf cooling sequence, or central carbon depletion depending on the stellar mass. 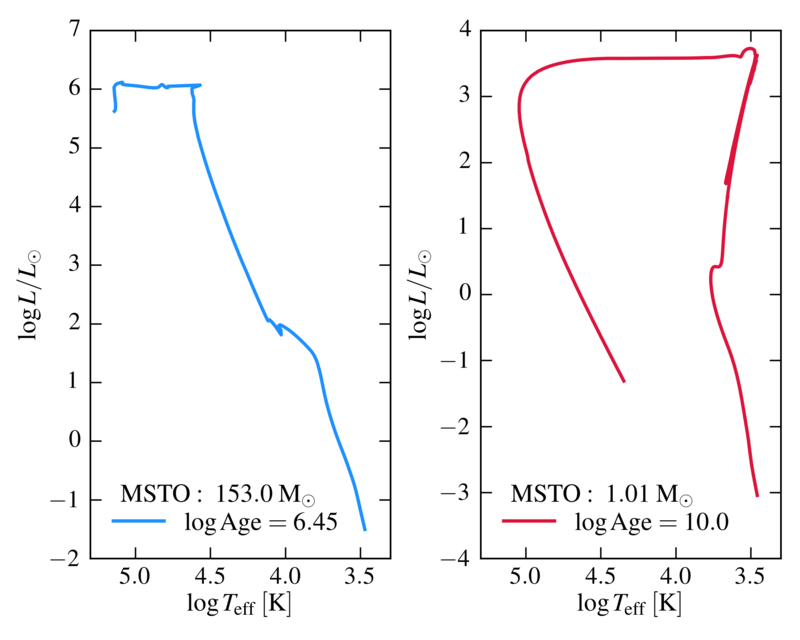 We started the MIST project in 2012 with the goal of building large grids of single-star stellar evolutionary models extending across all evolutionary phases for all relevant masses & metallicities, and with the computational speed to allow a wide exploration of parameter space. The MIST stellar evolutionary tracks are computed with the Modules for Experiments in Stellar Astrophysics (MESA) code. MESA is an open-source stellar evolution package that is undergoing active development with a large user base worldwide. The current release of MIST models are computed with MESA version v7503. The evolutionary tracks output from MESA are transformed into isochrones using A. Dotter's iso package. See README_OVERVIEW for more details. Dotter (2016), Choi et al. (2016), and Paxton et al. (2011, 2013, 2015). This work is supported by the NSF (AST-1524161), NASA (NNX13AI46G and NNG16PJ26C), and the Packard Foundation.